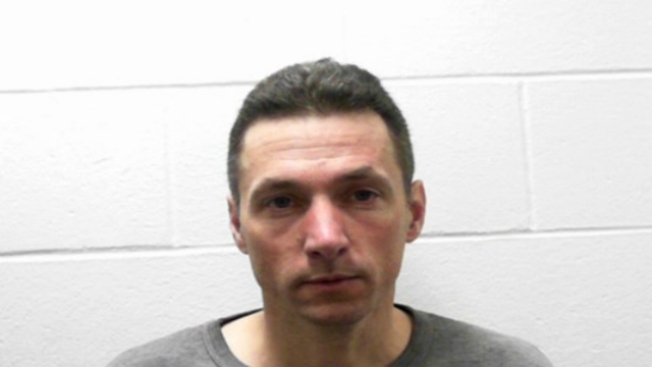 Michael Herrmann, a 47-year-old resident of Greene, Maine, is charged with aggravated animal cruelty for allegedly killing two cats by choking them. A Maine man is facing animal cruelty charges after he allegedly choked two cats to death last month. Michael Herrmann, 47, of Greene, is charged with aggravated animal cruelty. He is free on $160 cash bail. According to the Androscoggin County Sheriff's Department, the animal control officer in the area began investigating last month after learning that the two cats had been killed in an inhumane manner. Their bodies were later dumped in the woods near Herrmann's home, on South Mountain Road. Police say Herrmann had been watching them for a neighbor. He allegedly told investigators he killed them because he didn’t have time to take them to the local humane society and figured they would be euthanized anyway. Herrmann complained that the cats were causing his daughter's allergies, so he used "martial arts skills" to subdue and strangle them near a snowmobile trail, according to the sheriff's department. He allegedly told police his martial arts training taught him how to "choke things out." A person at Herrmann's address refused to speak to necn Tuesday. Herrmann has been ordered to have no contact with animals while out on bail.